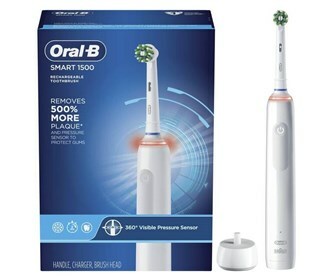 The Oral-B Pro 1500 rechargeable electric toothbrush that provides a clinically proven superior clean. The professionally inspired design of the CrossAction toothbrush head surrounds each tooth with bristles angled at 16 degrees and removes up to 300% more plaque along the gum line. 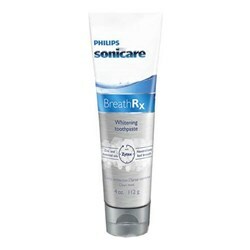 It features a 3D cleaning action that oscillates, rotates, and pulsates to break up plaque. 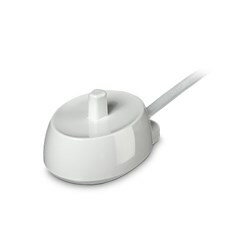 The built-in pressure sensor lights up if you brush too hard to prevent harmful over-brushing. 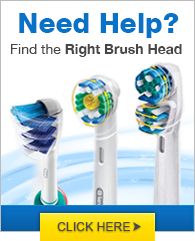 The brush has 1 mode, plus an in-handle timer to help you brush for a dentist-recommended 2 minutes. 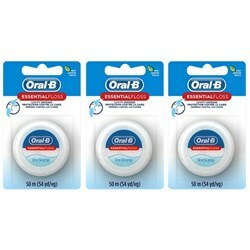 It is compatible with Oral-B Brush Heads for every Oral Care need: CrossAction, FlossAction, Precision Clean, 3D White, Sensitive Gum Care, Deep Sweep, Dual Clean. 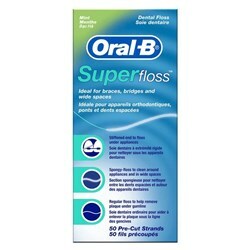 The Oral-B 1500 Toothbrush has many exciting features for users of all types. 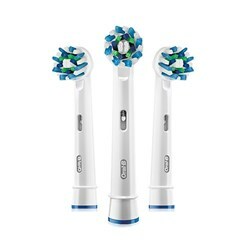 See the Oral-B 1500 Toothbrush gallery images above for more product views. 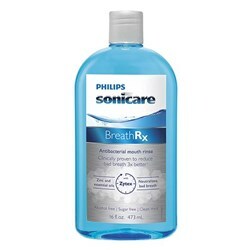 FactoryOutletStore stocks a full line of accessories like BreathRx Antibacterial Mouth Rinse, BreathRx TongueScraper, and BreathRx Whitening Toothpaste for the Oral-B 1500 Toothbrush. 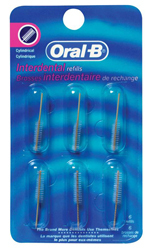 The Oral-B 1500 Toothbrush is sold as a Brand New Unopened Item.